An adequate supply of water has always been an issue for the Maltese Islands. With an annual rainfall approximating just some 18 to 20 inches, water is a scarce commodity. The earliest known attempts to store water date back to prehistory, with the Misqa Tanks adjacent to the Mnajdra temples believed to be the earliest water storage system in the islands – dating to some 5,000 years B.C. While rain is scarce, flash floods are not infrequent and the damage (and the consequent loss of water and soil) to cultivated areas could at times be quite devastating. Farmers separated their terraced fields by means of (porous) rubble walls and dug channels to direct rain water to purpose built reservoirs. In a few places small dams were constructed across valleys. The best known and most extensive of these dam systems is found at Wied il-Qlejgha. 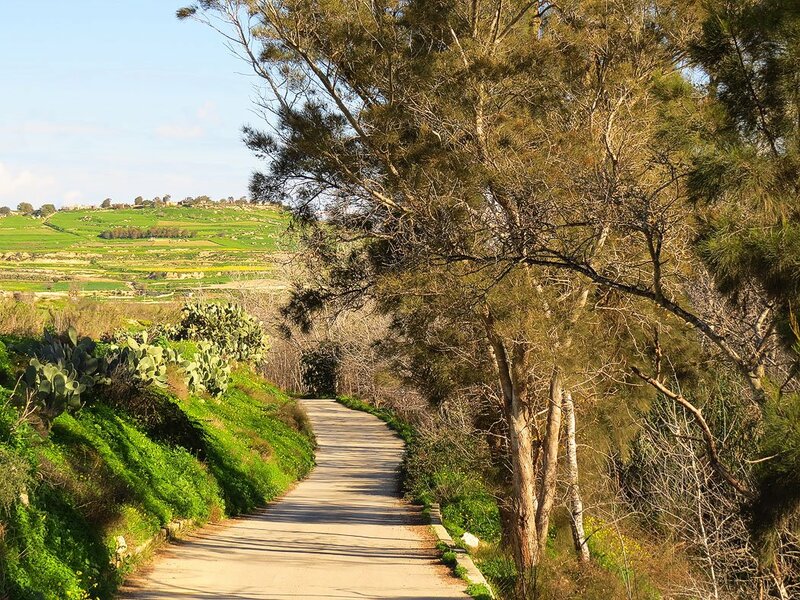 Wied il-Qlejgha, on the outskirts of the Rabat suburb of Mtarfa, forms part of the largest valley system in Malta. Because of its steep sides water has always run profusely when the rains come down – often causing considerable damage. In the late nineteenth century the British engineer Sir Osbert Chadwick (1844-1913) was entrusted with the construction of a number of dams so that the rainwater could be collected and used in the drier months. Stretching for over a kilometre of valley floor, these are the largest set of such dams in Malta – known by the rather grandiose name of Chadwick Lakes. Although the water is not potable it is significantly important for irrigation in the area. For the somewhat dry landscape of Malta the ‘lakes’ provide quite an unusual sight in the rainy winter months well into the springtime. 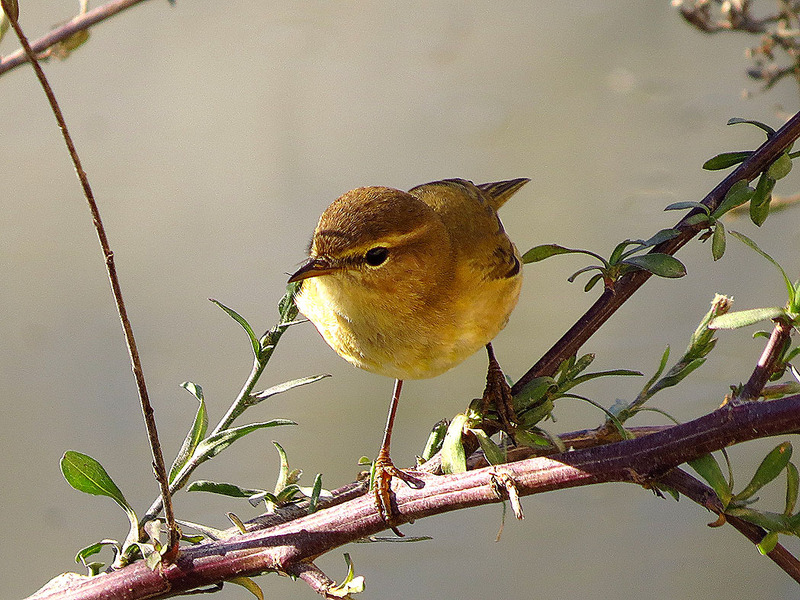 They are a favourite picnic and hiking area for the Maltese on a sunny winter afternoon but for the rest of the week they are mostly a quiet nature haven, providing a home for Malta’s indigenous painted frog as well as several bird and plant species. 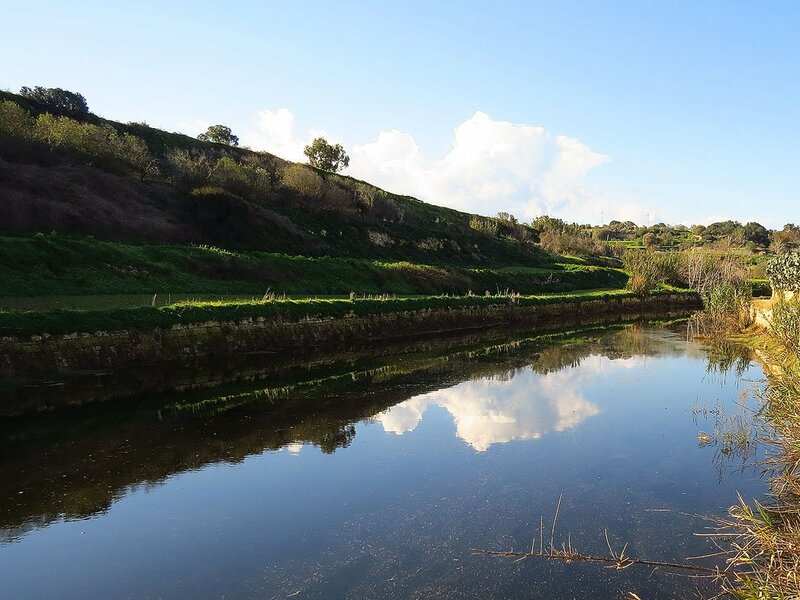 Certainly a place worth visiting, the lakes can be reached via Rabat or Mtarfa (bus 51 from Valletta) and the pleasant walk along the valley floor extends all the way to the outskirts of Mosta. 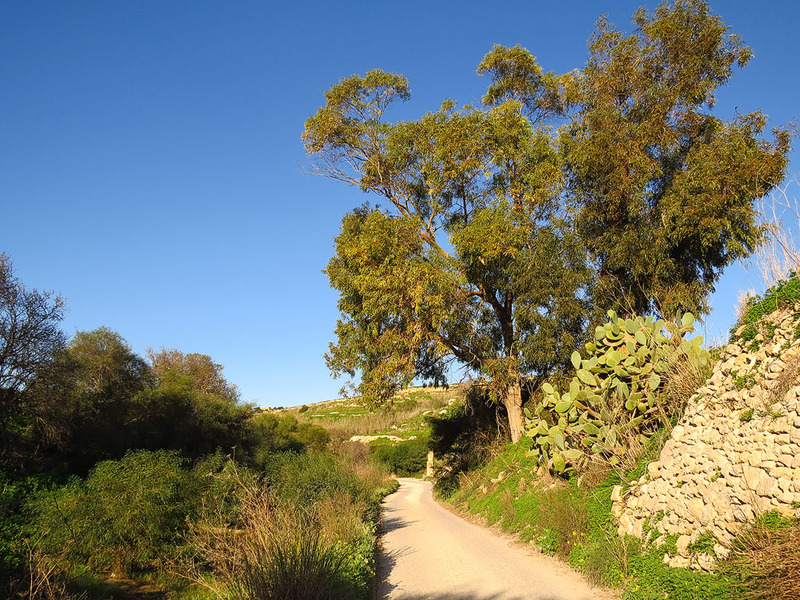 Numerous paths and tracks next to the valley are worth exploring – one of these leads to the quiet hamlet of Bingemma from where one can also venture further to Mgarr. And in case you are wondering where Malta gets its water these days… The local Water Authority still maintains a number of large reservoirs and water galleries which collect rain water, but the islands increasingly depend on two large reverse osmosis plant which transform seawater into potable water.